I was reading blogTO last night and was searching restaurants by food type and I came across the section called "Poutine." I was surprised because I didn't realize Toronto had a restaurant solely dedicated to poutine - but it does! 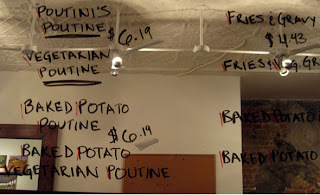 Poutini's House of Poutine on Queen Street West. 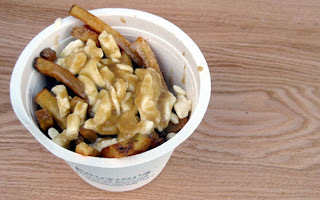 How Canadian can you get with a place full of poutine! 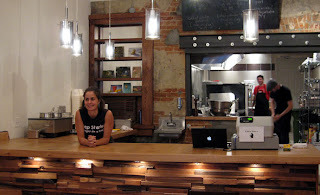 Check out their MENU - it is too funny, but looks so yummy! They even have a brunch poutine named "The Maple Poutigly" (traditional poutine + bacon + organic maple syrup - SERIOUSLY CANADIAN)! This place calls for a late night test, I hope Poutini serves me his best! kate that's amazing! had you heard of it before? so jealous!